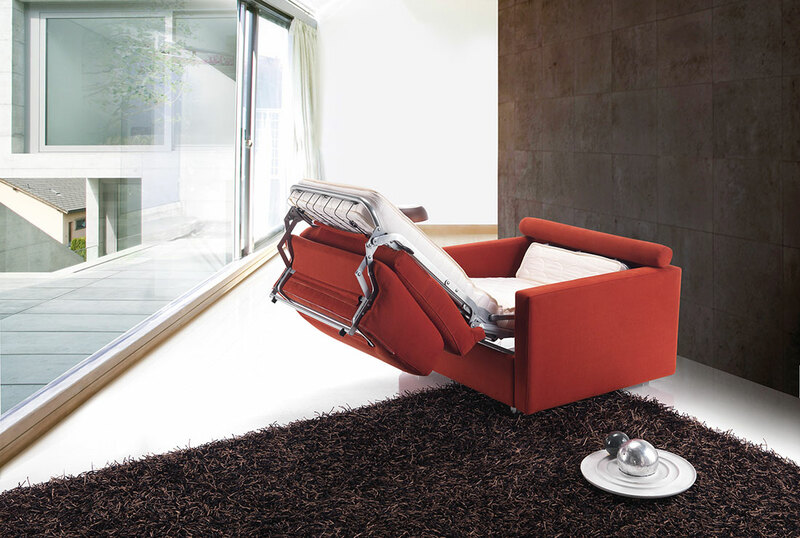 Amchair bed system. 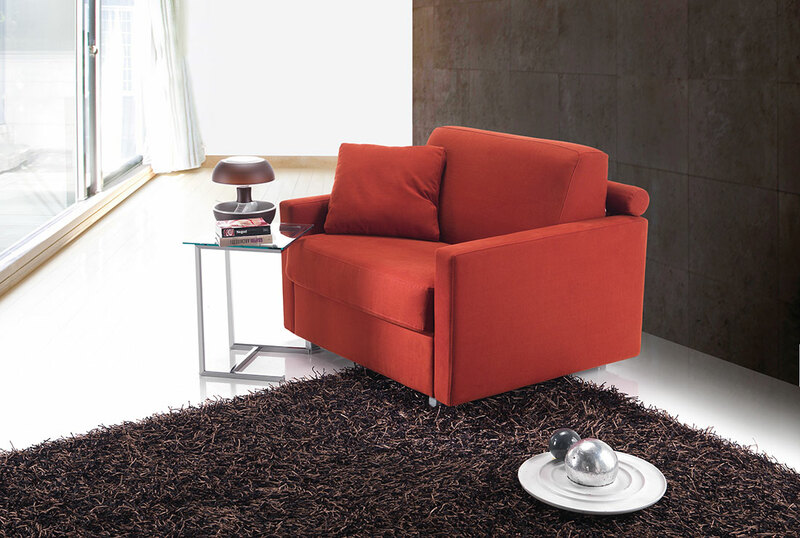 Opening mechanism by rotation without the need to remove the seat and back cushions. Suitable for daily use. Structure in high strength tubular steel, powder-coated epoxy, bed net in metal mesh electrowelded. Armrests, backrest and other upholstered parts make wood and derivatives. Padding in polyurethane foam sheets. Seat and back cushions in polyurethane foam covered in different densities. Legs in wood coated aluminum.